Our Cambridge based domestic scaffolding services are designed to work perfectly with whatever project you are undertaking. Whether you need to access hard to reach areas such as chimneys or guttering, our residential scaffold services are the perfect solution. Our helpful and professional staff are on hand every step of the way to provide support and assistance throughout your new-build, renovation or restoration. The erection and dismantling of our domestic scaffolding is completed by fully trained staff who are committed to the safety of everyone involved. We always aim to minimise the impact of our residential scaffolding on the environment, those who live in the area and those who work or simply pass through the site. All residential scaffolding provided is tailored to suit your individual requirements and we would be more than happy to have an informal discussion about your scaffolding needs. MT have many years experience in the erection of temporary roof structures for building projects and events. Both single and double pitch structures can be used depending on the height, length and width of the requirement. Temporary roof protection over the working area reduces time lost during construction due to bad weather so can reduce the overall cost of construction. 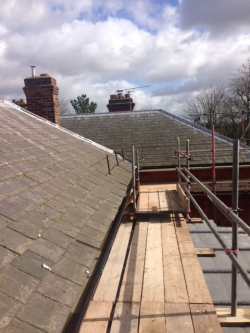 Temporary roofs with weather protection cover protects both new works and any original building as in the case of loft conversions, for instance. 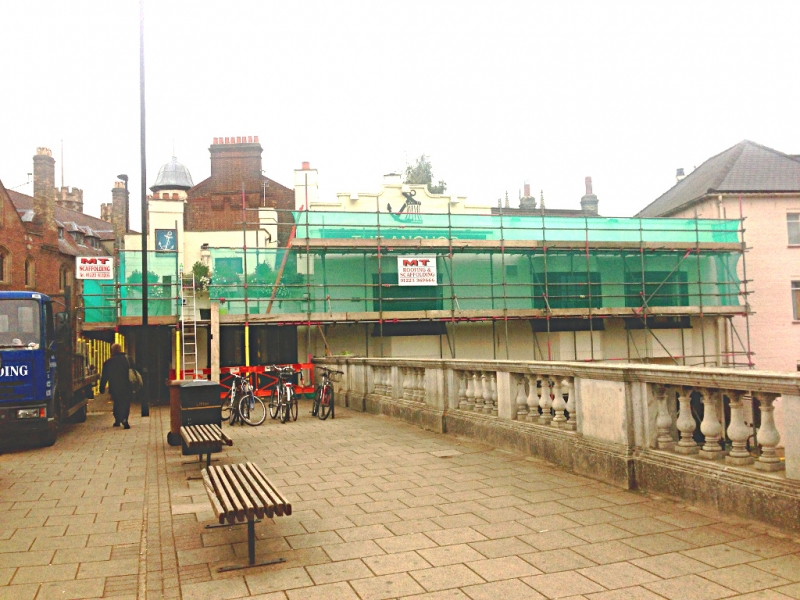 Today's weather can be hard to predict which is why businesses and private customers in and around Cambridge have trusted MT Roofing & Scaffolding for many years to provide protection for the duration of their building or renovation projects. Commercial scaffolding is needed by house builders and for larger building projects such as warehouses, flats and office buildings. Independent access scaffolding erected in stages for house building or edge protection/handrails for the installation of new roofs including tiling and cladding are examples of commercial installations. Large scale scaffolding for house builders might include the use of loading bays for materials stacking or access scaffolding platforms used during timber frame construction. You could need commercial scaffolding for the construction of a new build block of flats or houses or even for the refurbishment of a large occupied building that needs external painting, roofing works or brickwork repointing. If a building is to be occupied during re-roofing works or if the building is used for trading from whilst the works are in progress then commercial scaffolding is the answer. Take a look at our portfolio of recent scaffolding jobs in Cambridge and contact our Cambridge Office for more details and to discuss your requirements.